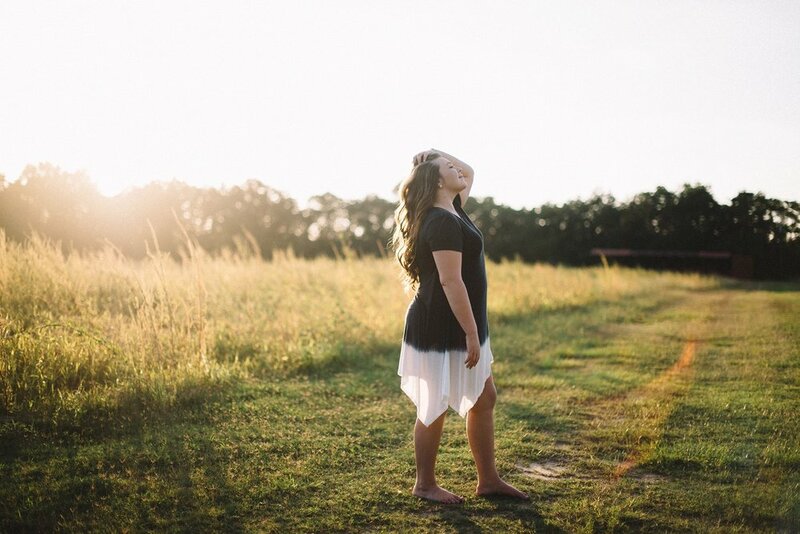 Taylor's senior session | Cotton Top Plantation — Still Co. When Taylor and her mom reached out to me they mentioned they really wanted a sunset session. This made me so happy. I love the light right at sunset and on the night of Taylor's shoot it was so beautiful. You never really know if you're going to end up with a glowy sunset during your session but when it happens, it's a great thing. Taylor was so sweet and very photogenic and Cotton Top made a lovely backdrop. I haven't been out there in a while and it was fun to be back. Thank you Taylor for asking me to take these photos! Enjoy some of my favorites!